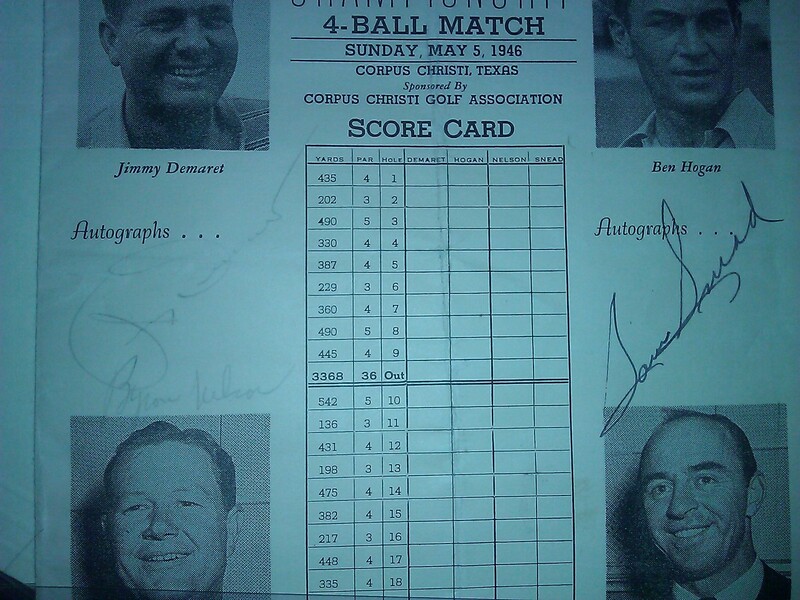 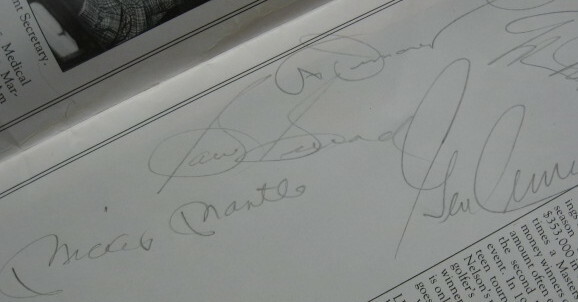 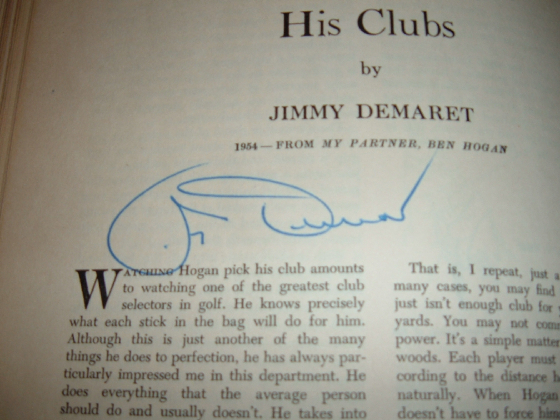 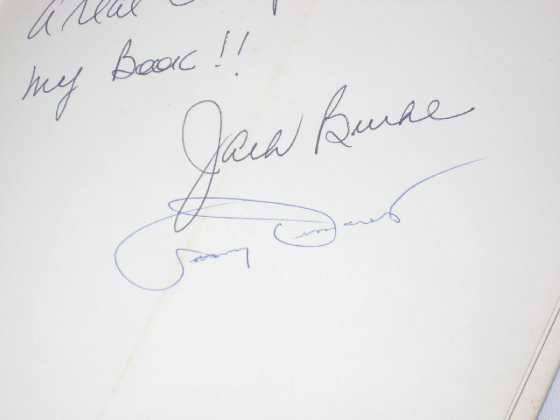 Demaret and Burke signed book about Champions Golf Club. 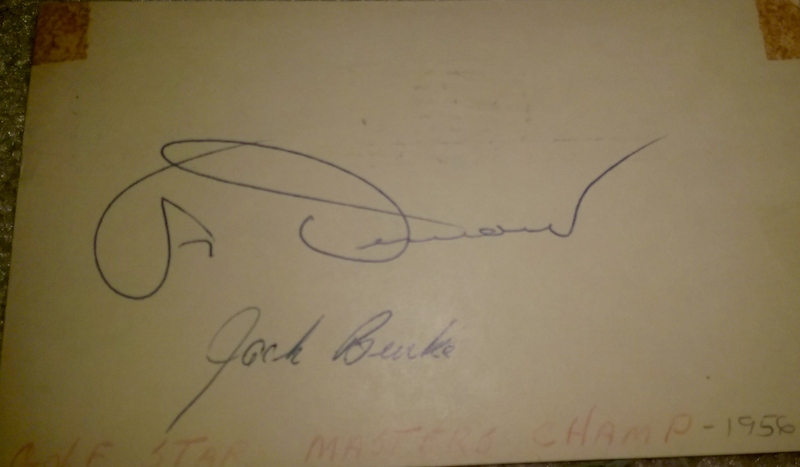 Masters Champions signed postal cover with Demaret. 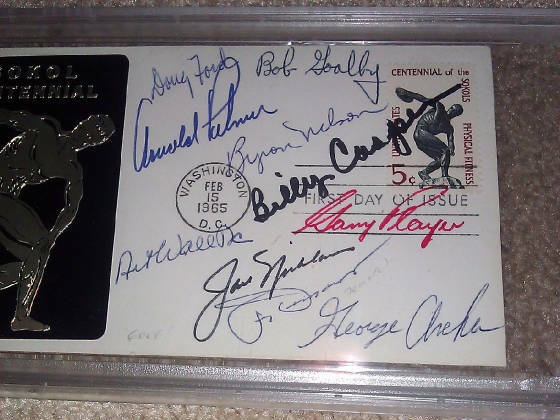 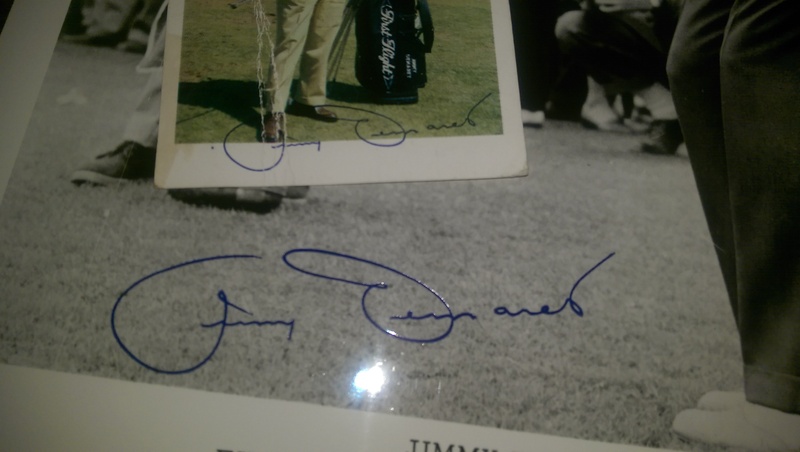 A signed golf program from 1978 with Snead, Micky Mantle, Gene Cernan(Moonwalker), and Demaret. 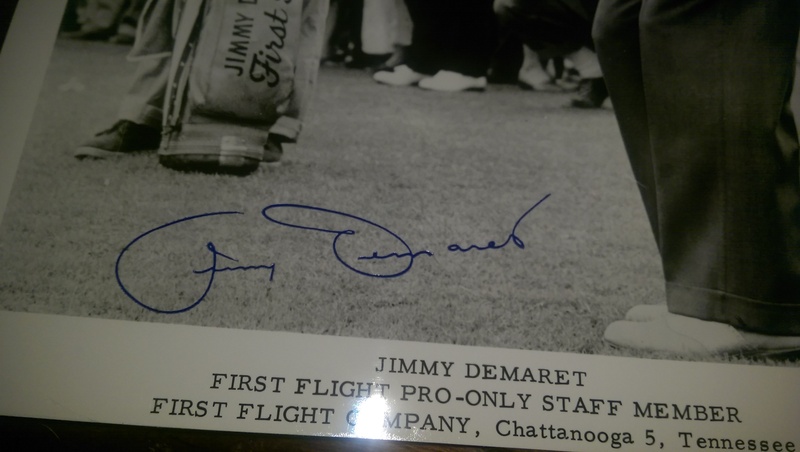 This is an example of an Autopen signed Demaret photograph. 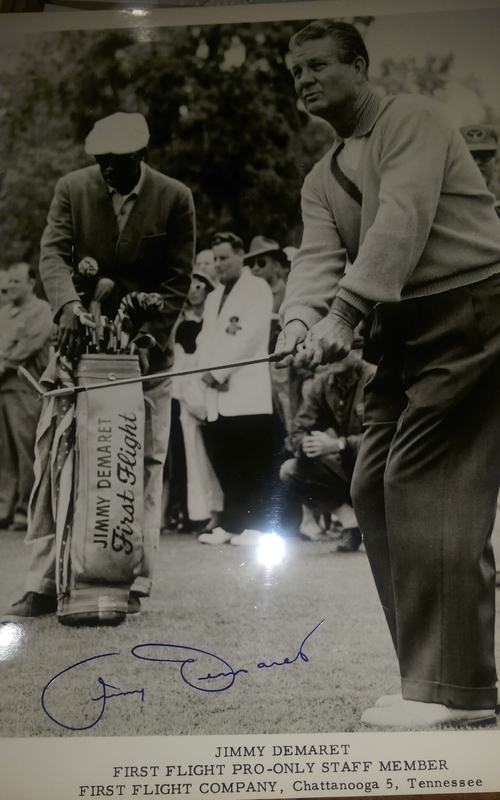 Not authentic. 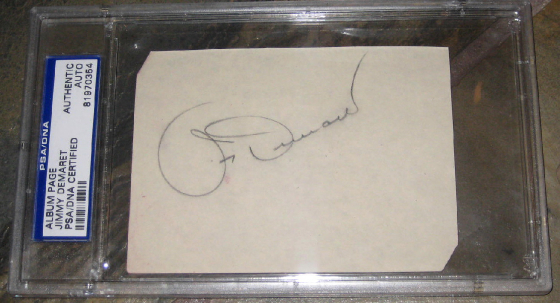 It is mistakenly sold as authentic from time to time.